Eastern Turkmenistan for centuries formed part of the Persian province of Khurasan; in medieval times Merv (today known as Mary) was one of the great cities of the Islamic world and an important stop on the Silk Road. 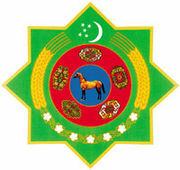 Annexed by Russia between 1865 and 1885, Turkmenistan became a Soviet republic in 1924. It achieved independence upon the dissolution of the USSR in 1991. Extensive hydrocarbon/natural gas reserves could prove a boon to this underdeveloped country once extraction and delivery projects are expanded. The Turkmen Government is actively working to diversify its gas export routes beyond the still dominant Russian pipeline network. In 2010, new gas export pipelines that carry Turkmen gas to China and to northern Iran began operating, effectively ending the Russian monopoly on Turkmen gas exports. President for Life Saparmurat NYYAZOW died in December 2006, and Turkmenistan held its first multi-candidate presidential election in February 2007. Gurbanguly BERDIMUHAMEDOW, a deputy cabinet chairman under NYYAZOW, emerged as the country’s new president.